As a freelancer, you need to keep close all necessary work-related documents and tools so that wherever you are you are in the position to make use of them. To ensure such mobility, many file-sharing services which have emerged in the past few years, but there is only a handful of them which can match the utility of Google Drive. Google Drive is, essentially, a file storage and sharing service which is owned and operated by the giant online service provider, Google. It has, as of 2017, around 800 million active users and is presently one of the most commonly used file-sharing services online in the world. While people are aware of it being just a file-storage and sharing service, its highly resourceful features are what defines it. There are plenty of features of this service which makes it one of the most powerful tools online—and in this article, we will guide our fellow freelancers on 10 of them. Google Drive maintains a database of keyboard shortcuts that can help its users maximize output through its services. These shortcuts are easy to remember and can make you operate Google Drive like a boss. All you need to do is press Ctrl + / (in case you are using Windows) or ⌘ + / (in case you are using Mac). We have a couple of examples of shortcuts to start with: press ‘x’ to select or de-select an item; to scroll down to the details pane, press ‘g’ and then ‘d’; or to clear out all selections you have made, press Shift+n. One of the most brilliant features of Google Drive is its tagging feature. You can make your file sharing experience more inclusive by tagging several people within documents. It, therefore, can help you undertake project management, and is, primarily, useful to freelancers, who are often employed to work in a team. The primary advantage of this feature is that you do not have to independently contact every member on your team on matters relating to documents. You can just tag them on those documents, and they will immediately receive an email about this. The tagged individuals are enabled to make comments on the documents to further the total project management efficiency, and this will save time and offer a platform for better engagement of people. Who does not like ‘free’ items? We all do. 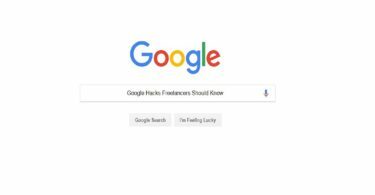 Google knows this very well, and it exploits our weakness quite smartly by offering us complimentary tools to up our productivity and management levels. Google Drive lets its users create a word-processor spreadsheet, a presentation and work with a word-processor. Each of these tools is free-to-use and is equipped with latest operability mechanisms, allowing users to engage in advanced data creation, management, and sharing. There are times when freelancers and clients engage in frequent sharing of files, and it is only a waste of time when both of these individuals cannot pool in all the documents in one place. The absence of such a pooling system can create confusion and may affect output levels. Google Drive, however, is there to the rescue. You can collect all your stuff from across platforms and put them all in one place. Whether it is a tiny-sized file or a humungous PDF, you can share or let client share them with you in one place. Yes, you read it right—Google Drive is equipped with efficient translation tools. There exists a translation option in Google Docs. All you need to do is to click ‘Tools’ and select the option ‘Translate Document’. From a list of languages, choose the one you want your document to translate into. Once the aforementioned process is done, a translated document will get saved in your Google Drive immediately. Gmail is the most popular email service in the world, with a billion users communicating through its platform. As a result, a massive chunk of data in the form of documents, emails, etc. gets saved on this platform. The design of Google Drive is such that users can save the documents and emails in Gmail with just a single click. You just need to download a Chrome Extension, Save Emails To Google Drive, and every time you wish to save emails, just click on the extension. Not many know this, but Google Drive, already so awesome, provides an option for users to type through their voice. A highly functional voice recognition tool is fit into it which aids the users for audio-enabled typing. Google Drive is generous enough to let you connect its database with that of other cloud storage accounts such as Dropbox, OneDrive, Basecamp, or Evernote. You will have to, however, download CloudHQ to avail this service. Also, this will cost you money, as it is not a free service. Google Drive lets you access files already stored in its database, and you can also make edits in the same. However, you will have to select the offline link from the list of the files to enable such editing. It is extremely annoying to keep switching between tabs when doing an online research. Google Drive knows this, and to avoid such annoyance taking the best of you; it lets you open your document and the website alongside each other at a time. This option is available under ‘Tools’. With this feature, you will not have to move from one tab to another and be able to conduct research comfortably. 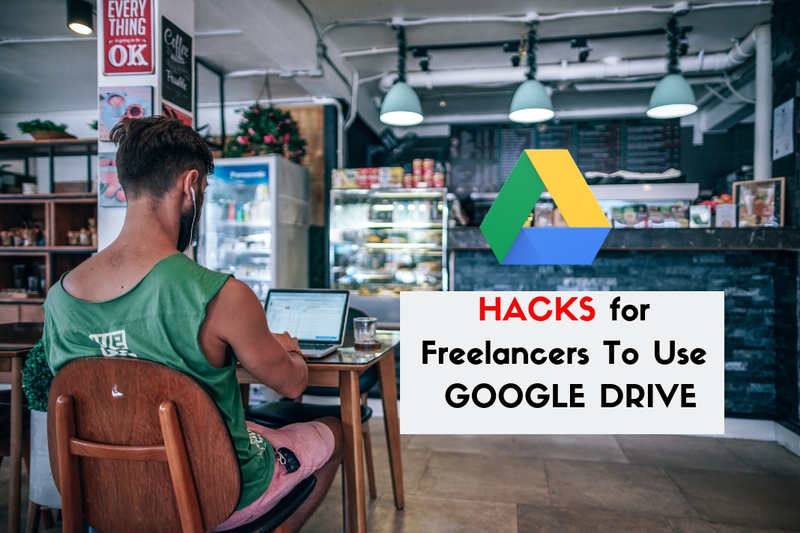 By this time, you must have understood the relevance of Google Drive in the lives of freelancers. It goes beyond what we know of file-sharing services due to its huge giveaways in the form of highly advanced but easy-to-use tools. Despite their frequent use in workplaces and otherwise, freelancers are not usually aware of them. Thus, this article can be a source of beneficial information. 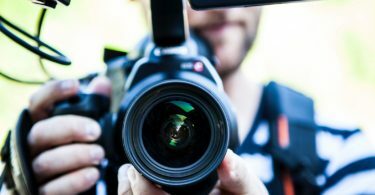 Since the subject-matter of this article is of great utility to freelancers out there, we wish to know what our readers think about it or whether we have missed out on any hack which we should have included. Also, we would like to share our ideas and tips with other people out there, and hence, need your support.